UNT is in the pursuit of fashion and beauty. Founded in 2004, UNT persisted in developing pharmaceutical grade skincare products, specializing in Hyaluronic Acid formulations and quickly became the skincare expert in the hydration field. In the past, UNT stood for Untitled as we believe that beauty cannot be described in a single word, phrase, or form. Today, UNT represents being your Unique self, enhancing your Natural beauty and having the qualities to Touch people’s hearts. Our goal is to provide you with products you can trust, effectiveness you can rely on, and quality you don’t have to think twice about. In 2009, our founder was pregnant with her first child and noticed that she did not have ready access to nail polishes that are free of toxic and harmful substances. She decided to seize this opportunity and create nail polish collections that would be safe for mommies to use. 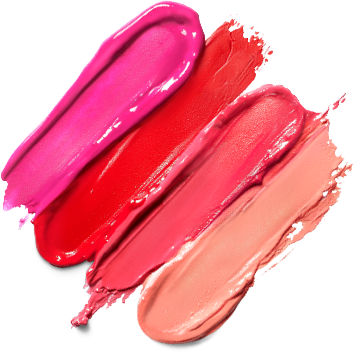 UNT launched three successful collections consecutively, including Nail Lacquer, Sun Envy Gel-Effect Lacquer and Glash Gel Lacquers. This strategy quickly made UNT became the No. 1 nail polish brand in Taiwan with a growing audience globally. As a skincare expert, UNT is committed to using high quality ingredients. We have made a pledge to offer products with high active concentrations that are hypoallergenic and non-comedogenic. We work to target and resolve skin issues quickly and effectively with our skincare systems so you do not have to worry. We also believe that strong, confident women waltzes through life with flying colors and we want to be there with you every step of the way from head to toe, from skincare routines, makeup solutions to nail colors, we’ve got you covered. UNT continues to strive for excellence in quality and design, but breaks the "high quality = high price" myth, so that every woman has access to high quality products. UNT gained popularity quickly and our footprints reached far beyond. We have customers from all walks of life from over 100 countries and this is our motivation to continue releasing new and innovative products while staying true to our roots in Taiwan.